The individual taste of the vodka used to create Black Moth has been developed using authentic artisanal techniques handed down through generations, and the fermenting and distilling process has a fundamental effect on the sublime result. 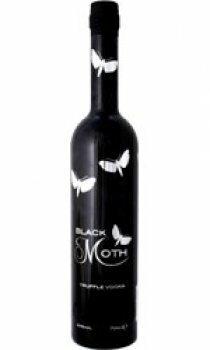 Unlike other vodkas, Black Moth is five times distilled and three times filtered, creating a spirit that is noticeably soft on the palate and delicately flavoured. Made from grain, Black Moth has a warm and mellow taste, perfectly complementing the wonderful flavour of the black Perigord truffle.